Cotopaxi is one of the world’s highest volcanoes, located in the Andes Mountains about thirty miles south of Quito. It has erupted more then 50 times since 1738, the resulting lahars (mudflows) forming numerous valleys around it. 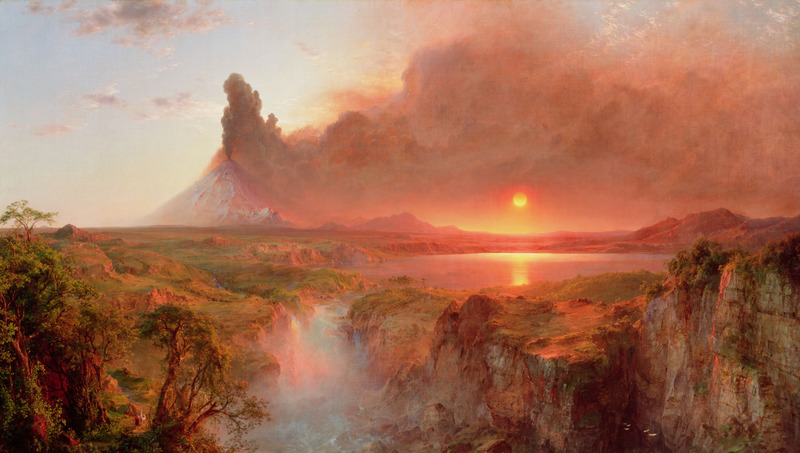 This entry was posted in Uncategorized and tagged 19th Century, American Civil War, Art, Cotopaxi, Edwin Church, Equador, Painting, Volcanoes. Bookmark the permalink.